Authentic and very musical, the included Grooves are bursting with the human feel of a real drummer. Each supplied palette features up to 50 Groove and Fill variations, with the pack containing over 1300 patterns in total. Palettes are supplied in BFD3, BFD Eco and BFD2 versions. 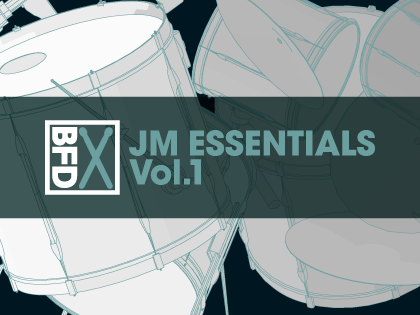 JM Essentials Vol.2 is also available.